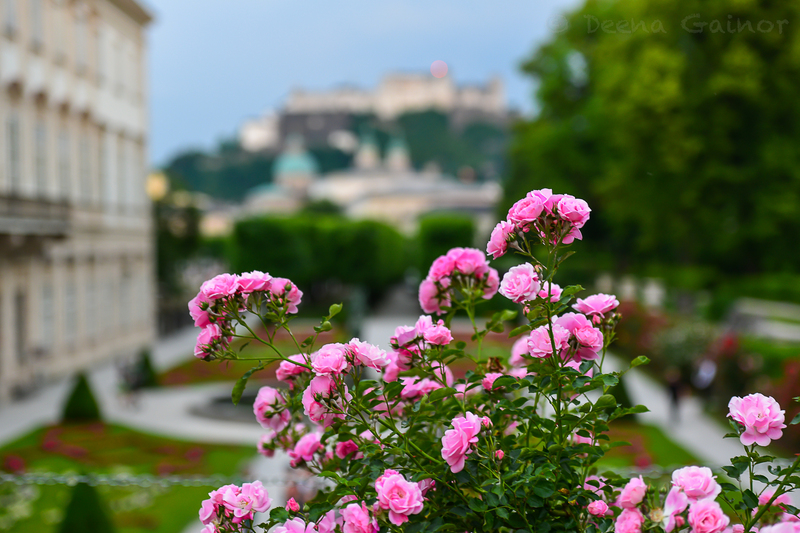 The Hills are Alive, Maria, and Captain Von Trapp (aka Christopher Plummer – one of my favorite actors) are the first things that come to mind when I think of Salzburg. 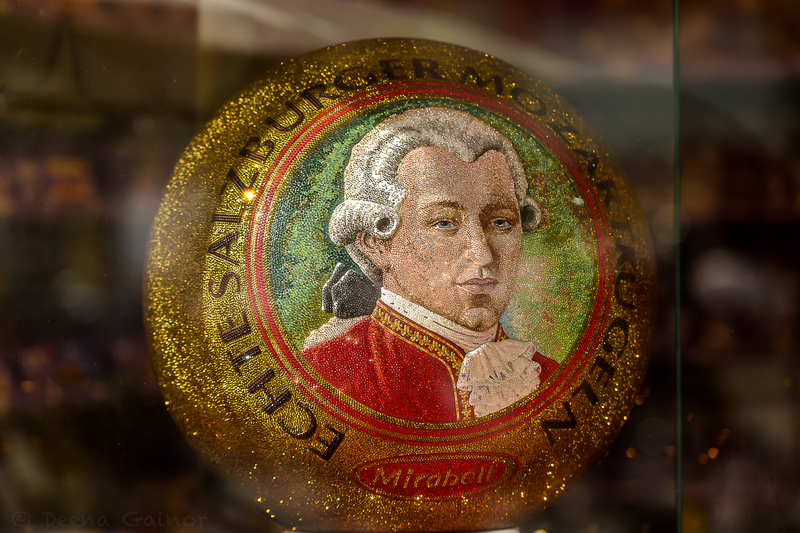 Quickly following are Wolfgang Mozart and the delicious chocolate balls named after him, Mozart Kugel. The Salzburg River and Mirabell Gardens, where the famous Do Re Mi scene from Sound of Music was filmed. How about some shopping? We enjoyed strolling through town, but our favorite market lined the river walk with a ton of great booths, colorful items, toys, clothes, and food. There are Flowers, Gardens, & Bridges all around the city. Make sure to find the Love Locks Bridge. Rumor has it that this century-old tradition has couples initialing a lock with their initials on it, attaching it to the footbridge, and tossing the key into the river to symbolize their unbreakable and eternal love. We loved the quaint street scenes we saw everywhere. Salzburg is really beautiful. 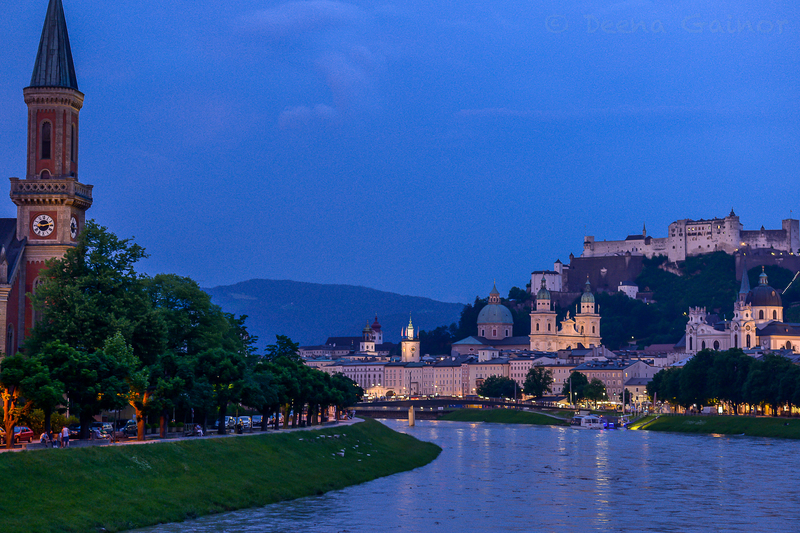 There is gorgeous architecture and history everywhere, and Hohensalzburg Castle makes for a spectacular backdrop. And last but not least, a few photos from one of the Sound of Music filming sites. Thanks, Aisha! It’s a beautiful place.